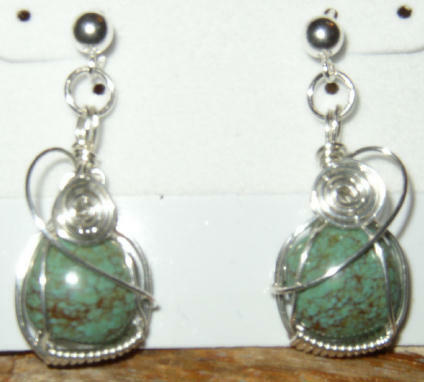 The ear rings below are either beaded or wire wrapped and would go well with the other jewelry displayed on this website. Click on the following photos and links below for more information and to purchase through Pay Pal or credit card. 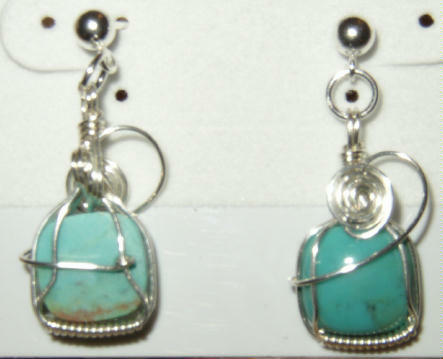 Wire wrapped/sculpted ear rings made from assembled/reconstituted Turquoise and Sterling Silver wire. 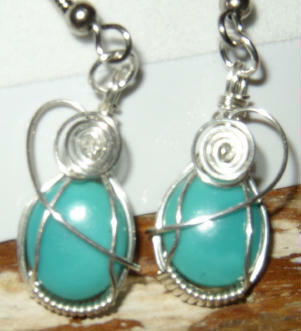 The approximate dimensions are : 3/4" W X 1 1/2 " H X 1/2 " D per ear ring. 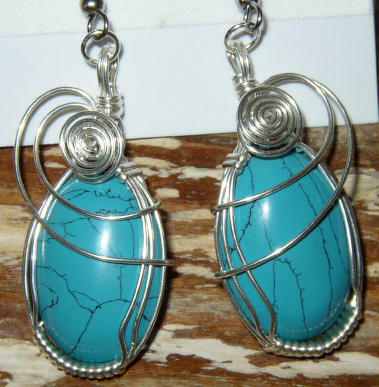 Wire wrapped/sculpted pair of ear rings made from a total of 8 K, of polished Turquoise cabochons from the # 8 Gold/Turquoise Mine from northern Nevada and Sterling Silver wire. This piece is not only a collectable, but it will also increase in value as time goes by. 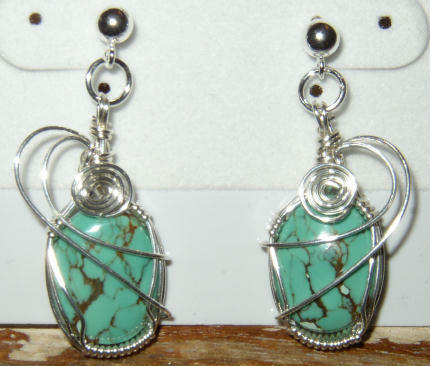 The approximate dimensions are : 1/2" W X 1 " H X 1/2 " D.
Wire wrapped/sculpted pair of ear rings made from a total of 8 K, of polished Turquoise cabochons from the Fox Turquoise Mine in northern Nevada and Sterling Silver wire. 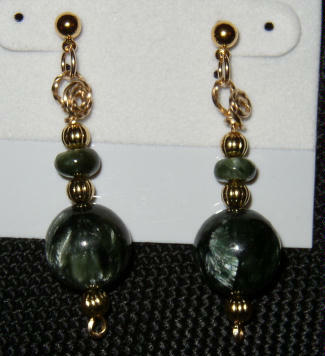 This piece is not only a collectable, but it will also increase in value as time goes by. 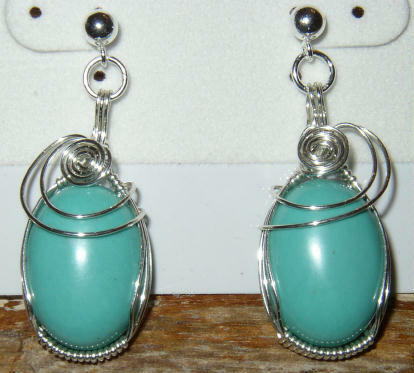 The approximate dimensions are : 1/2" W X 1 " H X 1/2 " D.
Wire wrapped/sculpted pair of ear rings made from a total of 27 K, of polished Turquoise cabochons from the Kingman Turquoise Mine from western Arizona and Sterling Silver wire. This piece is not only a collectable, but it will also increase in value as time goes by. 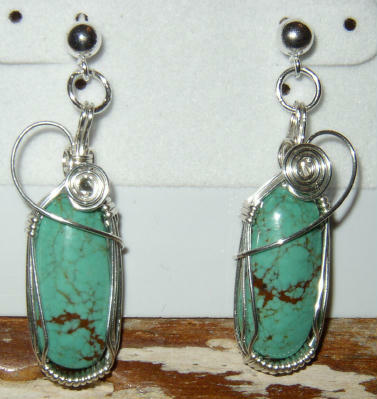 The approximate dimensions are : 5/8" W X 1 " H X 1/2 " D.
Wire wrapped/sculpted pair of ear rings made from a total of 10 K, of polished Turquoise cabochons from the # 8 Gold/Turquoise Mine from northern Nevada and Sterling Silver wire. This piece is not only a collectable, but it will also increase in value as time goes by. 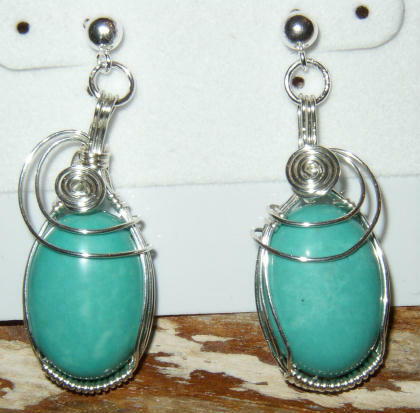 The approximate dimensions are : 1/2" W X 1 " H X 1/2 " D.
Wire wrapped/sculpted pair of ear rings made from a total of 7.5 K, of polished Turquoise cabochons from the # 8 Gold/Turquoise Mine from northern Nevada and Sterling Silver wire. This piece is not only a collectable, but it will also increase in value as time goes by. 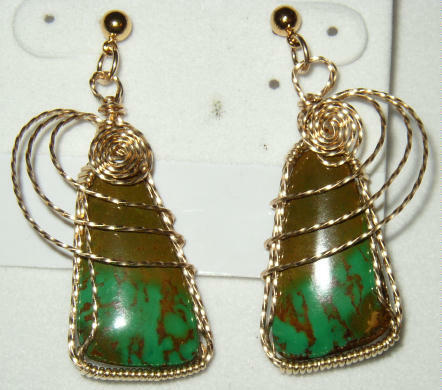 The approximate dimensions are : 1/2" W X 1 " H X 1/2 " D.
Wire wrapped/sculpted pair of ear rings made from a total of 27 K, of polished Turquoise cabochons from the Kingman Turquoise Mine from western Arizona and 14 K Gold-Fill wire. This piece is not only a collectable, but it will also increase in value as time goes by. 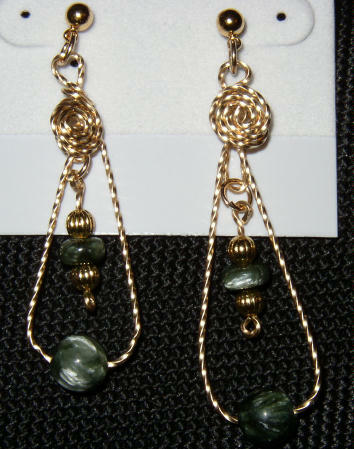 The approximate dimensions are : 5/8" W X 1 " H X 1/2 " D.
Wire sculpted and beaded pair of ear rings made from the rare and exotic Seraphinite from Siberia and 14 K/20 % Gold Fill wire. 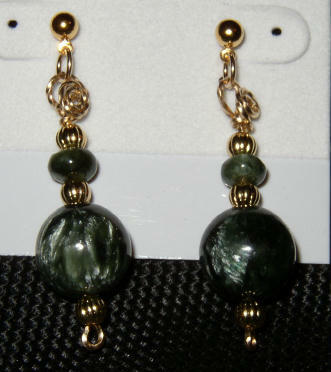 The approximate dimensions are : 1/2" W X 1 1/2 " H X 1/2 " D.
Wire sculpted and beaded pair of ear rings made from the rare and exotic Seraphinite from Siberia and 14 K/20 % Gold Fill wire. 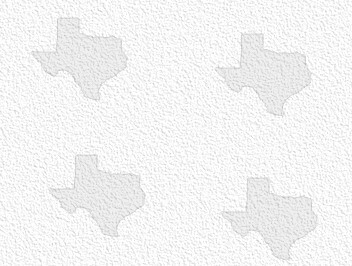 The approximate dimensions are : 1/2" W X 1 1/2 " H X 1/4 " D.
Copyright © 2006 by [The Lone Star Mine Shaft - Francis Kiefel]. All rights reserved.